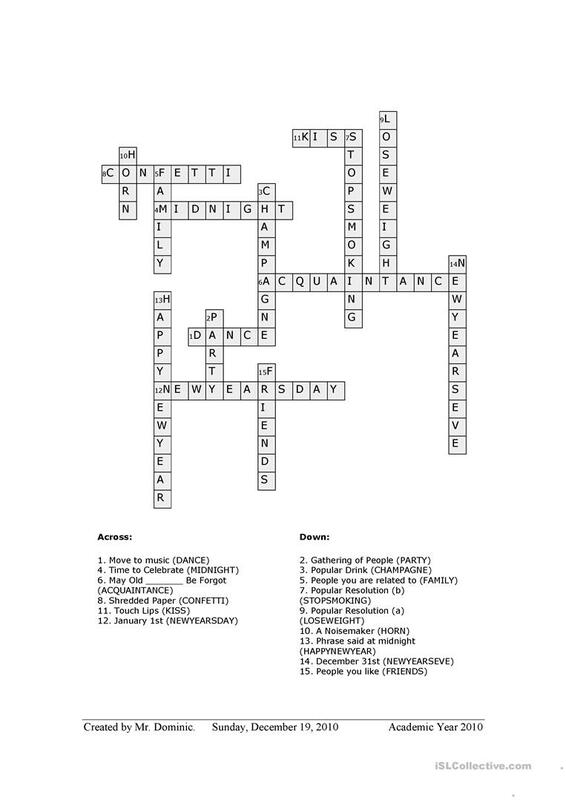 This is a crossword for a short activity first class back after the Christmas break. 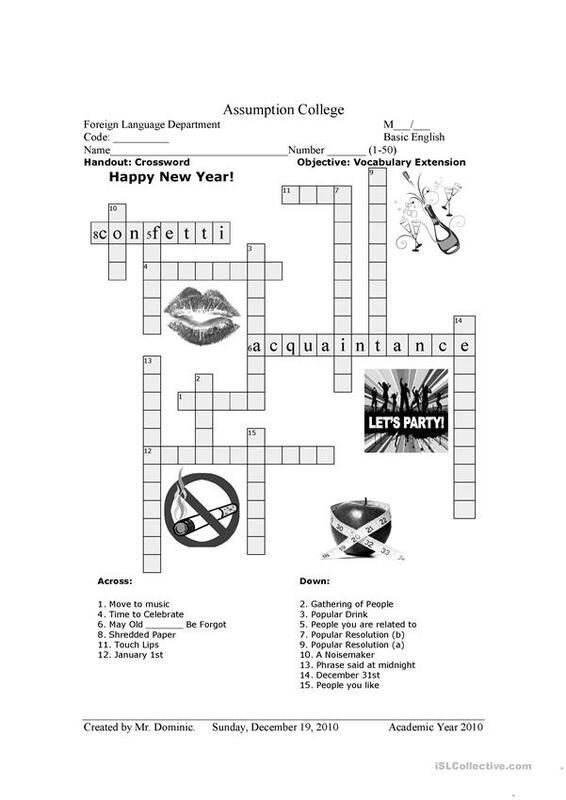 The vocabulary will help the students with the topic of partying over the New Year Holiday. The present downloadable worksheet is intended for high school students at Pre-intermediate (A2) level. It can be used for working on your class' Speaking and Writing skills. It is about the vocabulary topic of Family. You will find the key at the end of the worksheet. dom is from/lives in Ireland and has been a member of iSLCollective since 2010-03-11 08:51:22. dom last logged in on 2019-03-06 03:58:26, and has shared 1 resources on iSLCollective so far.